early days the only bridge west of Larned. miles from the West line of the Pawnee County. was surrounded by very fine farming country. lightning and burned in 1896. Herman Pickard and Georgia and Lutie Brown. Browns Grove Post Office opened June 21, 1877.
yard was opened and operated by Mr. D.Y. Sabin. and laid out an addition to Browns Grove. in that business until 1909.
brige. The dam was of wood and dirt construction. 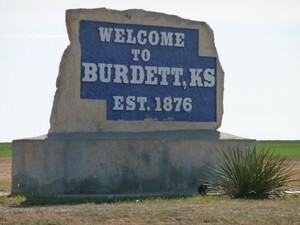 the people, and Burdett was no exception. bring a railroad there and build a good live town. North, making Burdett the junction. a lot of at least twenty feet in length and two lots wide. State of Kansas. Directors were: L.A. Choat, R.M. N.O. 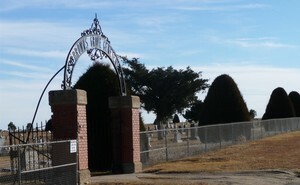 Mather, treasurer of thecemetery association. three separate lines terminating at Dr. W.V. Commerical Club'. 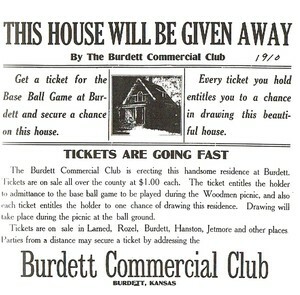 Tickets are $1.00. 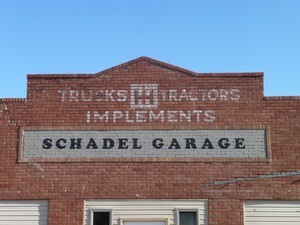 Directors were J.R. Hanna, E.L. Floreth, H.G. with only wheat and small grains being handled. A well and a dust house was completed this year. Mr. Earl Haymond started in the garage business. name of his business was "Blue Line Garage"
that contribute to the livelihood of its people. pupils. Teachers were Mrs. Bruner and Mrs. Pyle. in 1922 with Mr. Frank Rupright as operator. to farms in the community from his own tank truck. States Naval Observatory at Washington D.C.
13 inch telescope at the Lowell Observatory. and operated by Wanda Rupright Hayward. insurance business at this time. President. The Society now has another name. 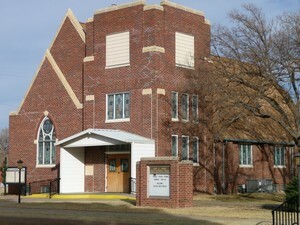 In 1974 it was renamed "United Methodist Women"
Methodist people at Ravana in the early 1880's. Delaney brothers, Jack and Howard. sold to the Catholics for their burials. were installed on the truck by the local Department. A jeep was also given by the Forestry Department. the hose. 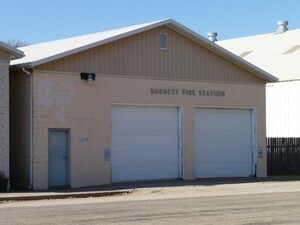 Everett Cooksey was the first Fire Chief. 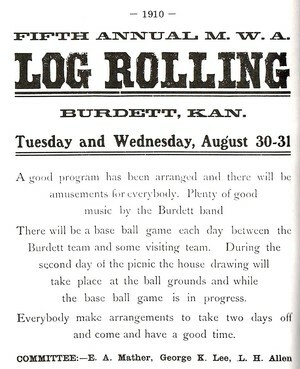 Western Kansas with incorporation status. 1965 with Larry Rodebaugh as the Fire Chief. and water projects were completed by the fall of 1965. Dixon Sinclair had a modern station. Mr. and Mrs. The last graduating class from Burdett was in 1966.
years, 622 graduates have passed through the doors. East). Both are in the new Unified District 496. 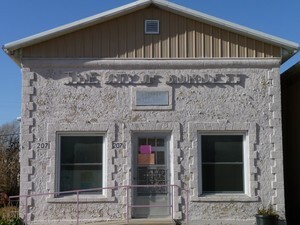 The Pawnee River runs through our City of Burdett. dry. It is part of the heritage of this community.